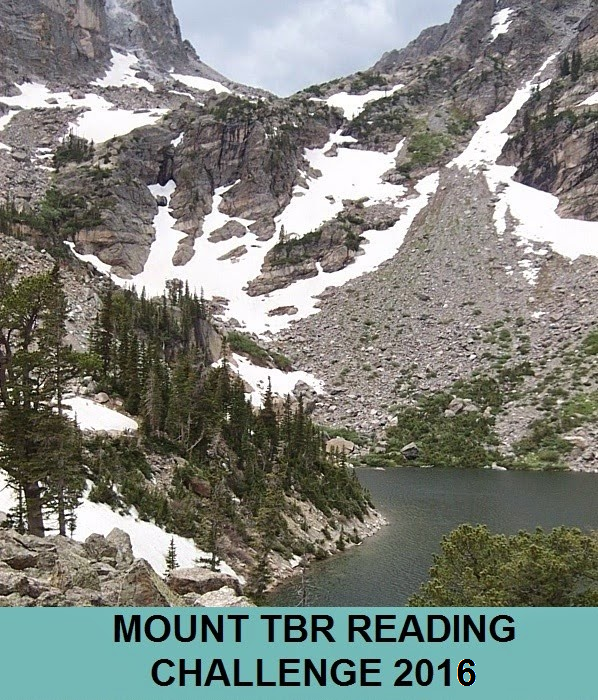 Welcome to another Reading Round-Up pardners! Today I have an eclectic collection of bookish beasts so hopefully there’ll be something to satisfy even the most fussy lariat-wielding reader. I received all of these books from their respective publishers (two via Netgalley, one via Simon & Schuster Australia – thanks!) for review. Let’s ride read! This one does exactly what it says on the box: you guess which body part a cheeky verse is describing. Some are blindingly obvious, and some take a little more deciphering, but all in all there’s a lot of fun to be had here mixing science and literacy. 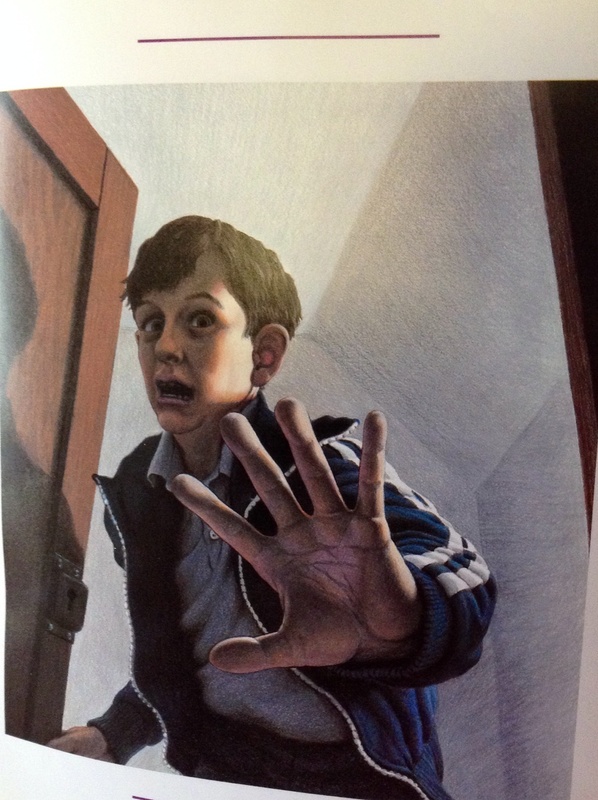 Mary has been seeing visions of creepy ghosty-zomboid monsters since a devastating accident in which she lost some of her friends. She checks herself into a psych ward for teens to get some respite, but it appears her monsters follow her even into the safety of daylight. Overall this is a solid, psych-ward adventure-drama, with all the expected patrons in attendance and some unexpected ones also. The ending got to be a bit unlikely for my tastes but the bulk of the storytelling is done well with some interesting twists and reveals. As a novella, it’s also a quick read and a great opportunity to try the series before committing to the full length novels featuring Mary in other adventures. Two American sisters come to Broadstairs, Kent in 1850 to hide from a secret in their past (and enjoy the bracing sea breezes and picturesque painting opportunities – obviously). When the corpses of young girls start turning up, more than just sand is churned up as the townsfolk try to keep the past buried. …there’s plenty of broody atmosphere to go round, as well as a piecemeal approach to the reveal of past secrets as each chapter is preceded by parts of a letter of confession. As a period piece and murder mystery, all the tropes are there – the holidaying dapper young gent, the worried vicar, the cold-hearted physician and the mysterious foreign lasses with a shady past. If you are looking for a book that will make you feel like you’re really there, wuthering on the clifftop (being wuthered? Not sure of the correct verb usage there!) 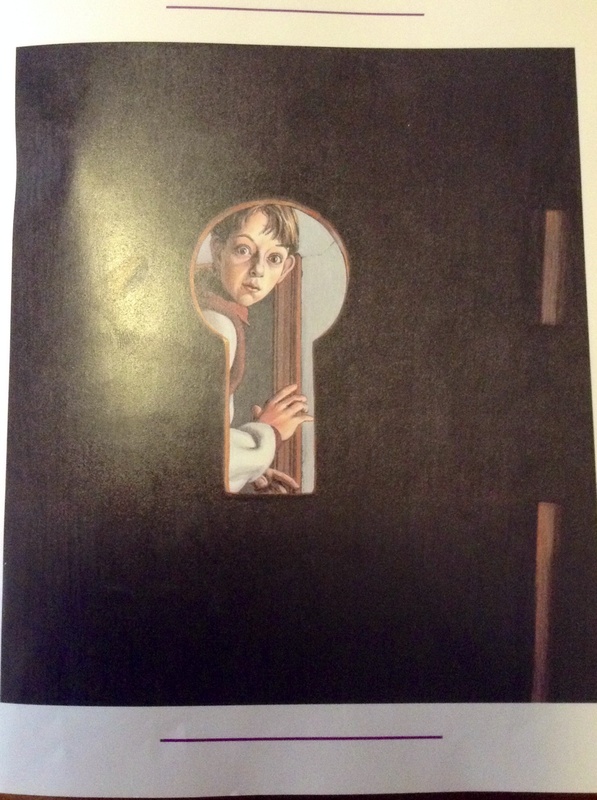 then cosy up with The Widow’s Confession and be blown back and forth with the changing tides as characters’ secrets are revealed. So there you have it. Three rather different books, but hopefully something there has piqued your interest. I’m a quarter of the way there! How are others going in the Oddity Challenge? Anyone else want to join in? There’s plenty of time. Come on! Get on it! Boo! That one got you in, didn’t it?! 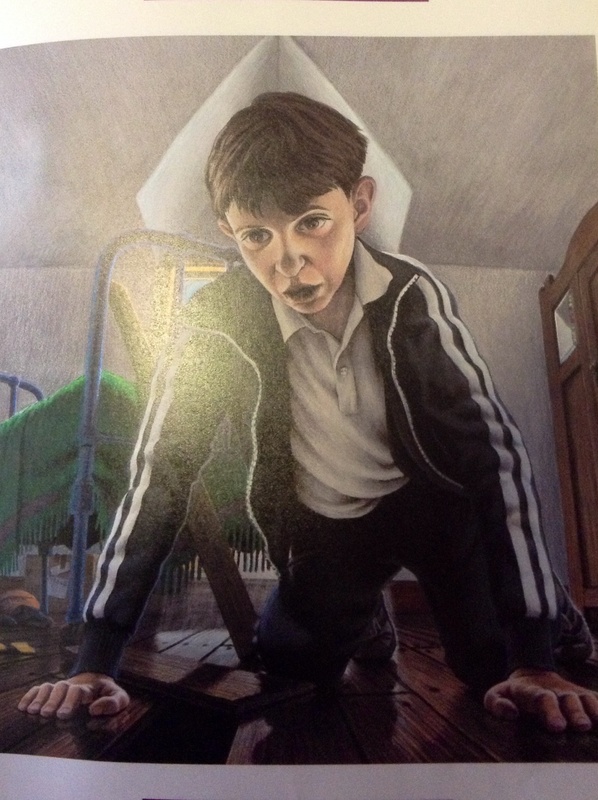 Apart from being deliciously creepy though, the book is also remarkably touching, as we get carried along with Shane’s mission to free his furry, cupboard-strewn friend. 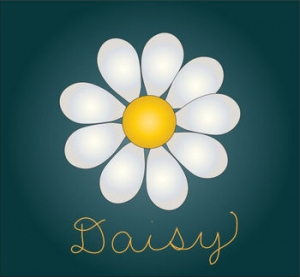 This is one of those stories that proves the power of story-telling – it’s one I did actually forget about for a period of time, but once I remembered it, the experience of first hearing it came back in vivid detail from the depths of decades past. 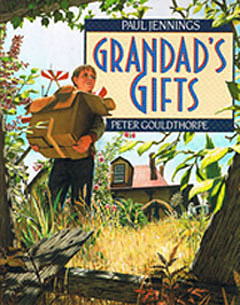 I would highly, highly recommend hunting this book down if you can and reading it with any kids in your vicinity aged around seven or older. I can’t go on. Don’t try to stop me. I’m going to a better place. I have received your resignation and we at Kwiki-shop Groceries wish you the best in pursuing an acting career. We will all say we knew you before you were famous! Keen-eyed readers will note that this is actually 51 words (again!). The last time I asked for editing suggestions I received a slew of excellent thoughts, so feel free to pitch in and let me know where I could lose a word or two and get under the required 50 words. 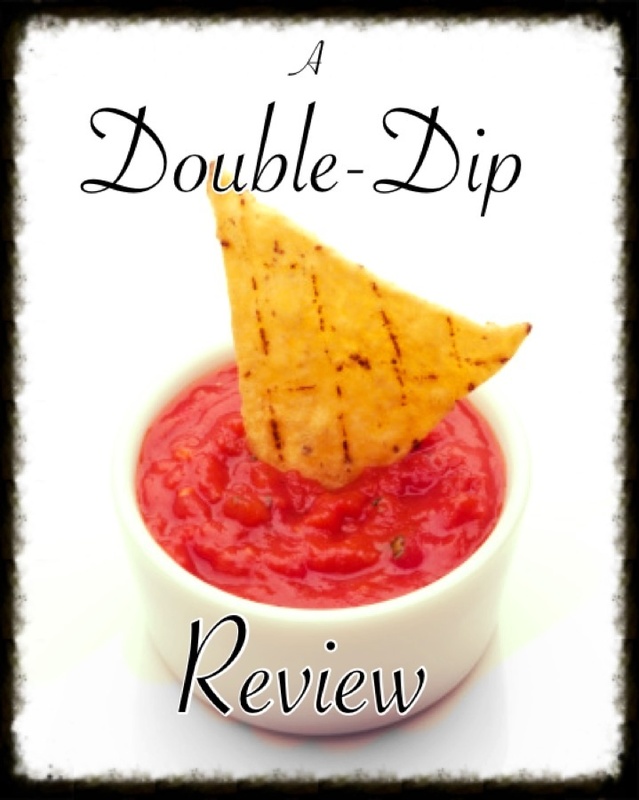 Welcome to an illustrative double dip review with a side order of odd. 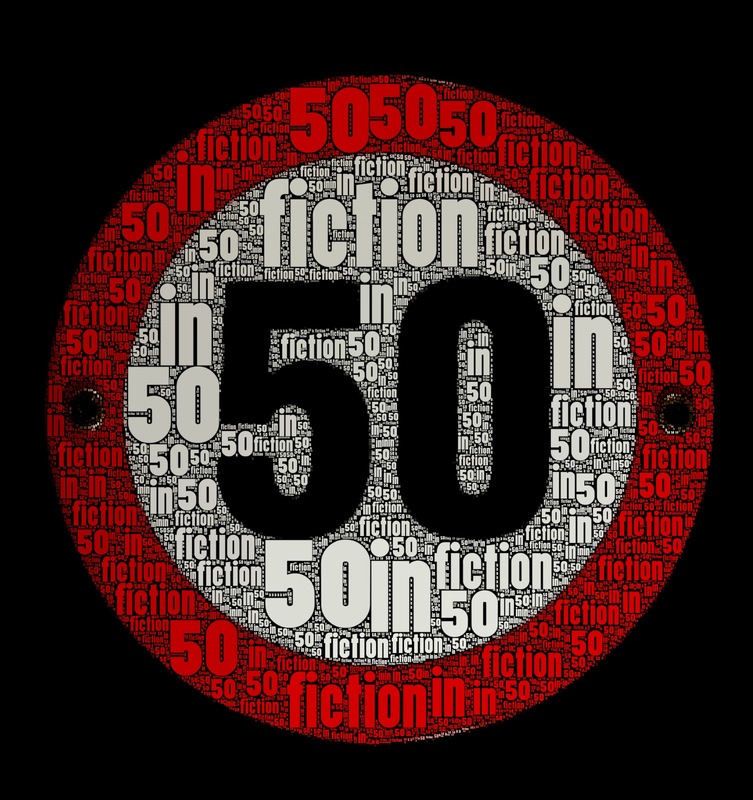 Before we start noshing on with graphic novels however, I must remind participants and lurkers alike that Fiction in 50 for February kicks off on Monday. 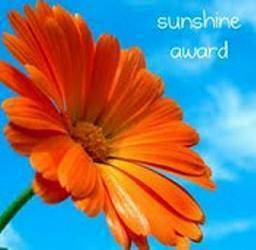 This month’s prompt is…. 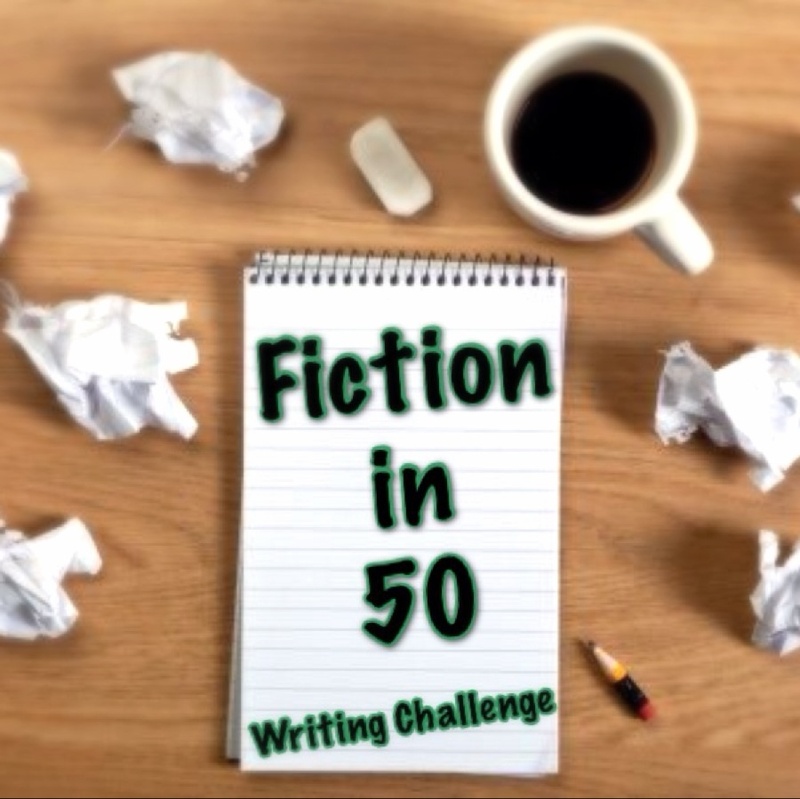 To participate, simply create a piece of fiction or poetry in less than 50 words, post it somewhere, then add the link to the comments section of my Fi50 post on Monday. It was great to see some new players last month, so if you’ve been dithering about whether or not to join in, the time is NOW! 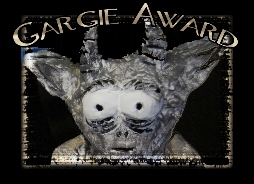 For more information and future prompts, just click on the Fi50 button at the top of this post. To the Double Dip! I received both of these titles from their respective publishers via Netgalley, and it would be tricky to find two more different works. First up, for the young and young at heart we have Gronk: A Monster’s Adventure by Katie Cook. Gronk is a little, not very scary monster. After leaving Monsterland, due to her lack of scaring ability, Gronk is picked up by Dale, a human lady, and taken home to live with Kitty (Dale’s cat) and Harli (Dale’s Newfoundland dog). We join Gronk as she negotiates the joys and terrors of the human world and tries to fit in as just another creatu re in a houseful of interesting ones. 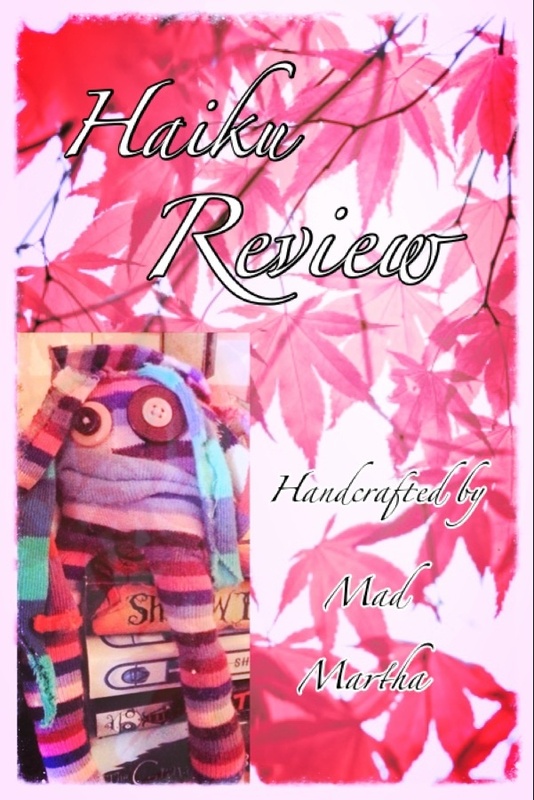 …a cutesy, episodic tale featuring a cute little monster. 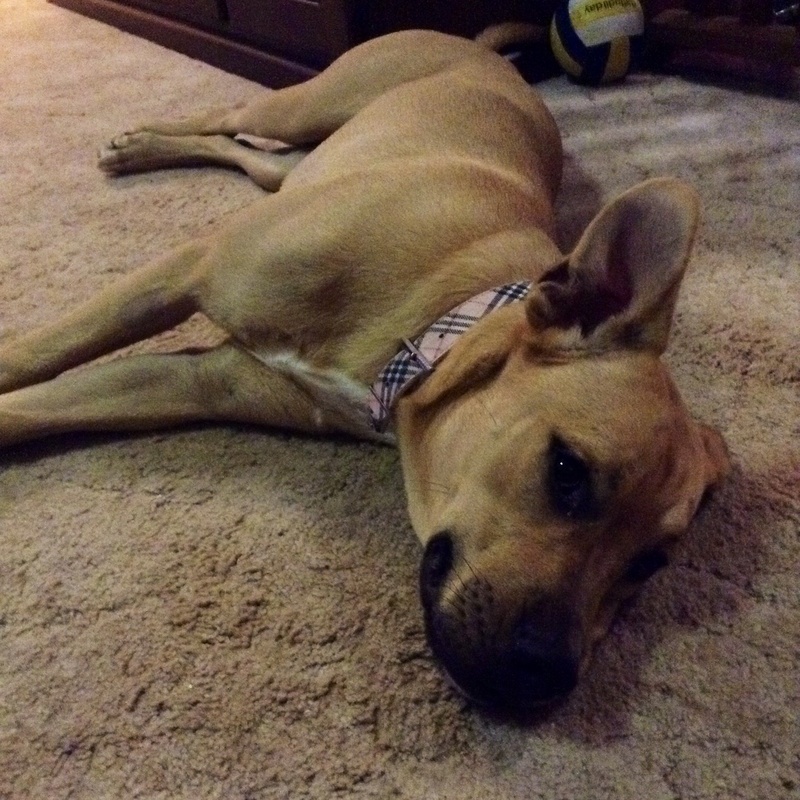 Gronk is undeniably adorable and there are some chuckles to be had as she tries to join in with various human activities with varying degrees of success. …you’re looking for something with substance. This really is just a bit of fluff for those days when you need a dose of cheerful monsterism to brighten your mundane existence. To be honest, I was a little underwhelmed with the overall Gronk experience. As it is based on a web comic, the book follows an episodic format, jumping around to different incidents in Gronk’s human-world experience. While this suited the cartoonish, cute feel of the character, I tend to prefer a more linear storyline to make things a bit more meaty. The undeniable star of the book for me was Harli, the massive dog. He’s an absolute scene-stealer. Recommended for monster fanciers and those looking for a non-calorific distraction. Now to something for the grown-ups and a definite contender for my Oddity Odyssey Reading Challenge under the category of odd subject matter. I speak of Suffrajitsu: Mrs Pankhurst’s Amazons by Tony Wolf. In London, 1914, the Suffragist movement is alive and well. Women are prepared to fight, go to jail and hunger strike in order to secure the right for women to vote. The last line of defence in this fight is an elite band of women trained in the martial art Bartitsu and the time is coming when these suffragettes aren’t just in danger from the police, but a conspiracy that reaches further then they could have imagined. 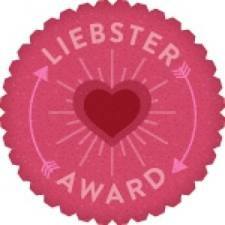 …feminist ninja activists! Honestly, if that doesn’t convince you then nothing will. The story is a socio-political, action-adventure, historical mystery, so if you like a bit of genre-mashing you should appreciate this one. …you don’t like non-cartoony art styles or blood-splashing violence. This is a graphic novel with a serious tone, so if you’re looking for a bit of light humour this might not fit the bill. Also, as this is only the first volume the tale ends on a cliffhanger. I would be very interested in seeing where this series goes, as feminism and martial arts are two of our interests on the shelf, and quite frankly, we are pleased someone decided to put the two together. The level of illustrated violence is probably at the top end of my tolerance level, but I was certainly drawn into the mystery that was revealed at the end of this volume. Give it a go if you like your graphic novels with a social history twist. 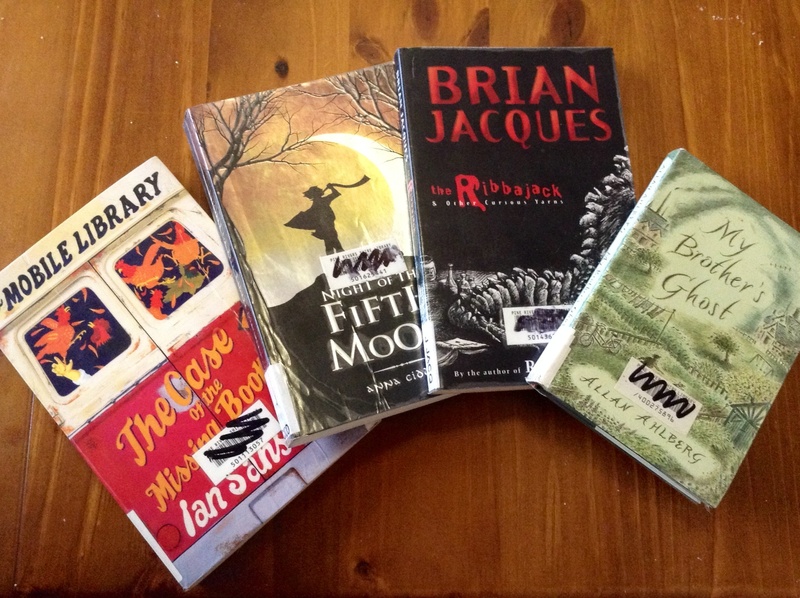 Perhaps, these graphic novels have inspired some ideas for Monday’s Fi50? 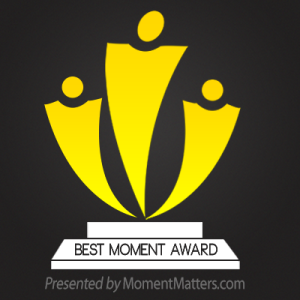 We’d love to see you join in! 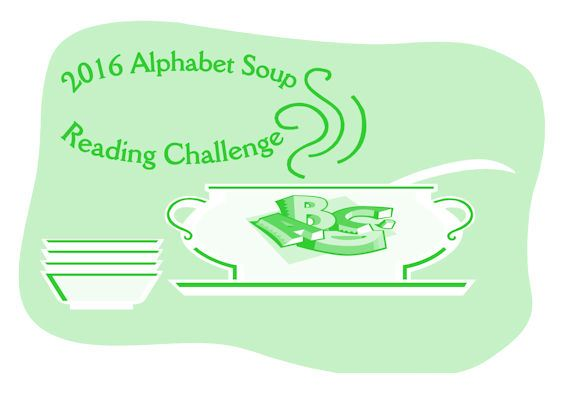 To find out more about the Oddity Odyssey Reading Challenge (and jump on board!) click on the image at the top of the post. 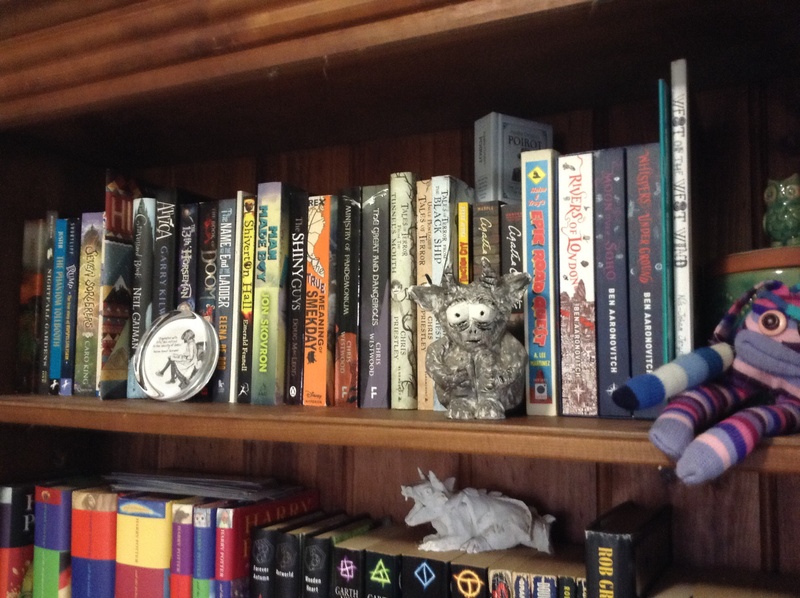 A New, Revealing Feature: Bruce’s Shelfies! 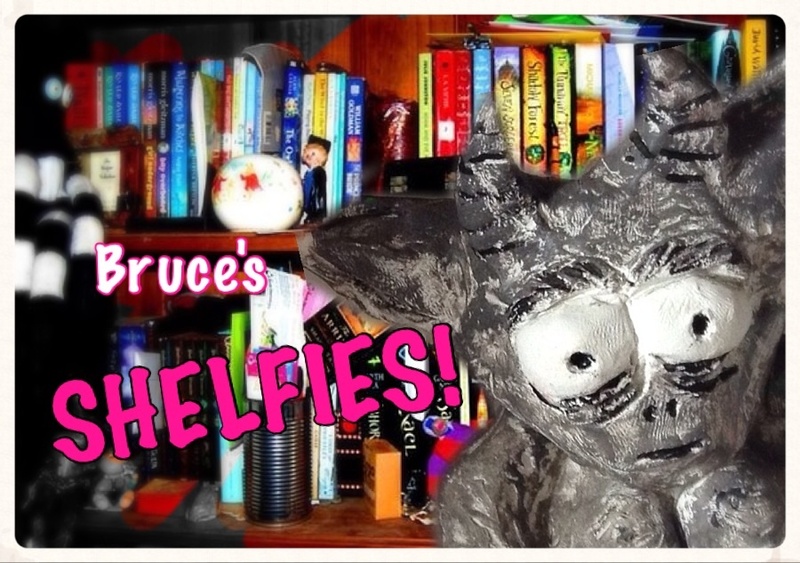 Welcome to my new, shelf-centred feature: Bruce’s Shelfies! 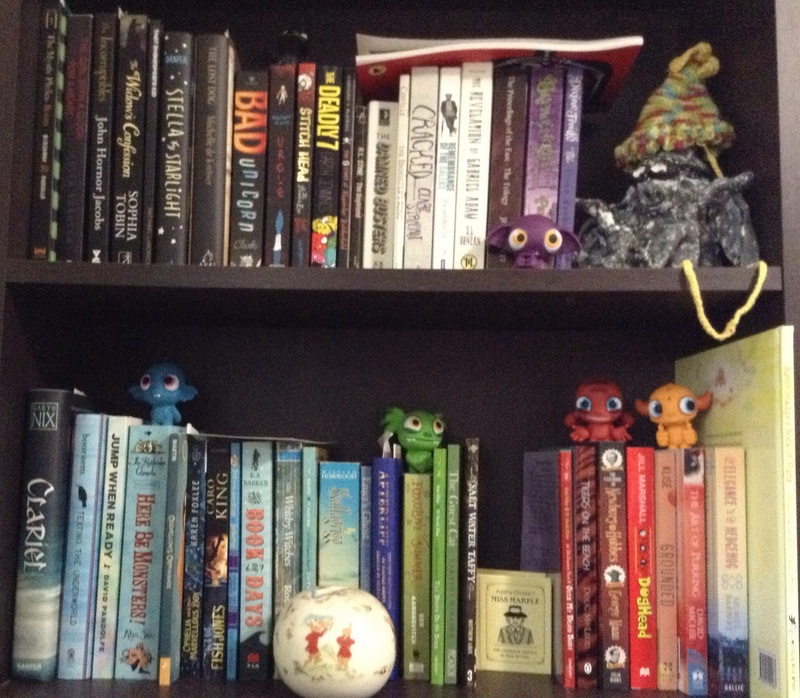 Seeing as I spend all of my time here, and it informs so much of my thoughts on books that make my acquaintance, I thought I would introduce you to some of the special nooks and crannies of my domain over the course of a few posts. Regular readers will be aware that the shelf has recently moved, so I thought I’d start by showing you around my new abode. This is not an exhaustive tour of the Shelfdom – think of it more as a sort of highlights package. Come on in! You can see that I’m looking rather smug in my new home. Mad Martha shares this exalted spot with me and we decided that we would fill our top shelf with all our favourite fantasy and paranormal books. Most of these have been mentioned at some point on the blog and therefore might look mildly familiar. I have recently culled my Doctor Who collection, but a few remain. You might also note a range of well-clawed Red Dwarf books, which will be the subject of a later Shelfies post. Notably missing is a hardback set of The Lord of the Rings and another hardback set of the Chronicles of Narnia. Both were too big to fit on this shelf, so they occupy a special place on another shelf. For some zany reason, I decided to group all my books (that weren’t already at home on the previous two shelves) by authors from the UK together and these occupy the next shelf down. 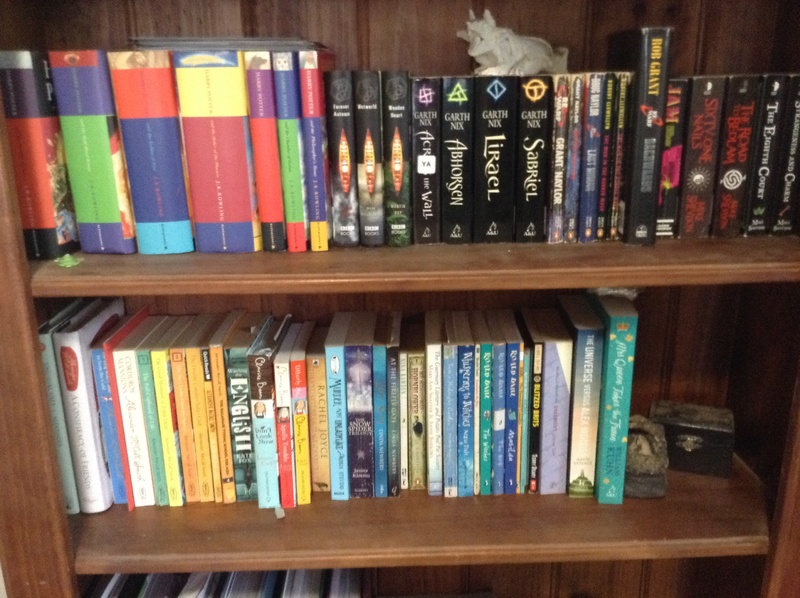 I have ALWAYS wanted a shelf of books arranged according to colour, so I just went ahead and did it with my TBR pile. You can also see my Good, Sad and Quirky guys (and friends!) perched upon their corresponding colour piles. Guru Dave and Toothless also occupy this shelf in order to keep their claws on the pulse of what is entering our reading world. 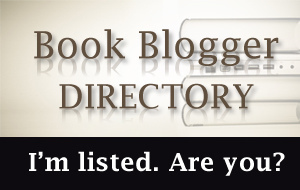 Please let us know if you’ve read any of the books on my TBR shelf, and what you thought of them! She was particularly excited to stumble upon the Ian Sansom tome (on the left), as this had been on our radar as a potential candidate for our Monday is for Murder feature. Or at least, the author is. I’m not sure there is any actual murder in the Mobile Library series. Nevertheless, gaining this one for the bargain price of 45 cents was something of a coup. Mad Martha also snagged a short story collection by Brian Jacques, author of the Redwall series (which we haven’t read), that looks as if it might be odd and creature-filled. Bliss! To the TBR pile they go. Next time I think I might do a bit of “Show-and-Tell” with some of my more valuable tomes…signed editions and such. If there is anything you would like me to reveal in future editions of this feature, please do let me know and I will do my best to accommodate. It’s Mad Martha with you today for another dip into oddity – specifically, the oddity of Jonas Karlsson’s translated, magical realism tale, The Room. This one certainly qualifies under the “odd subject matter” category of the Oddity Odyssey reading challenge and also the “odd language element” category, as this one is a translation from the original Norwegian. For more info on the O.O. Reading challenge, just click on the image above. Bjorn works in a government office as a public servant and discovers a room between the toilets and the lift on his floor. He finds that the room houses a perfectly ordinary office space, and as the space seems unclaimed, he begins to take his breaks in the calming quiet of the room. When his colleagues refuse to acknowledge the existence of the room, Bjorn realises that an elaborate conspiracy must be afoot. Is it a strange, collective case of workplace bullying, designed to drive Bjorn (and his significant talent) out of the office? Or is it a more sinister plot to see Bjorn unhinged? Regardless, workdays in Bjorn’s office are about to get a lot more interesting. 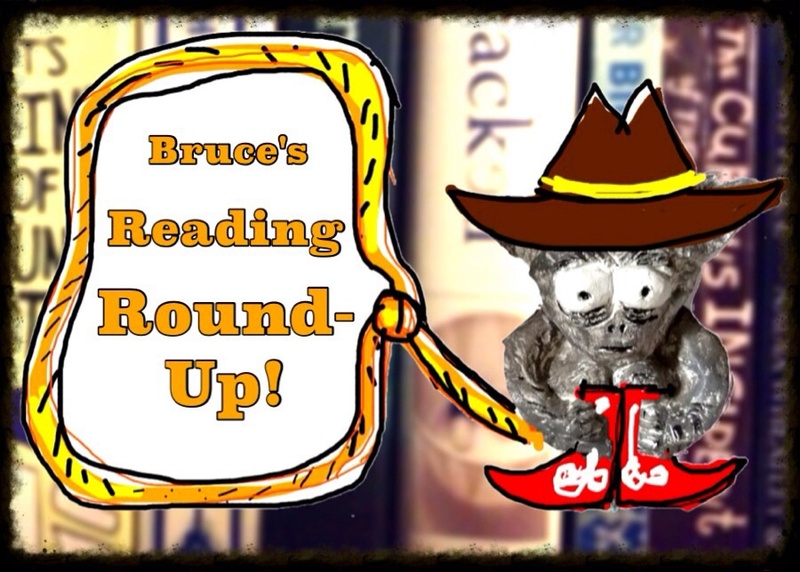 Regular readers of this blog would know that Bruce does not have the greatest relationship with magical realism. I can understand why. Is it meant to be an allegory? A metaphor for some greater meaning that’s going over his head? Or is it meant to be taken at face value? Just a bit of craziness in an otherwise ordinary setting, perhaps? I experienced a bit of mild confusion after finishing this book, but decided that overall, I wouldn’t bother trying to assign deeper meaning to some of the odder parts of the story and just appreciate it as a gem of weirdness in the midst of the mundane. So Bjorn goes to work, finds a room in his office and hangs out there. The other people in his workplace deny that there is a room at all. Interoffice conflict ensues. And it’s eventually resolved in a satisfying (from my point of view, anyway) fashion. The great things about this book include it’s brevity and the fact that the main character is just as puzzled about the turn of events as the reader. Bjorn is a singularly unlikeable character – he’s arrogant, socially awkward and self-centred – which kind of added to the perversity of the situation for me. I certainly didn’t feel sorry for him or the predicament in which he finds himself, and I think that helped me just go with the magical elements of the story. Bjorn is also so sure of himself throughout the majority of the crazy events that are happening around him that he just brings everyone else along with him and by the end everyone else is questioning their own sanity – including me, at some points. This is a reasonably quick read, with short chapters and very few wasted words or scenes, which I also appreciated greatly. There’s nothing worse than having to puzzle over nonsensical content while the author revels in their own superior, prescient knowledge of the outcome. Overall, I have to say I definitely enjoyed this story and, while magical realism won’t be going on my favourite genres list, The Room is definitely worth a look when you’re in the mood for something a bit unexpected in a totally mundane context. This book is the perfect reading choice after a long, hard day working in your non-existent office. Time for a (dragon) Chaser, anyone? : The Demonic Incident in Chinatown…and GIVEAWAY! 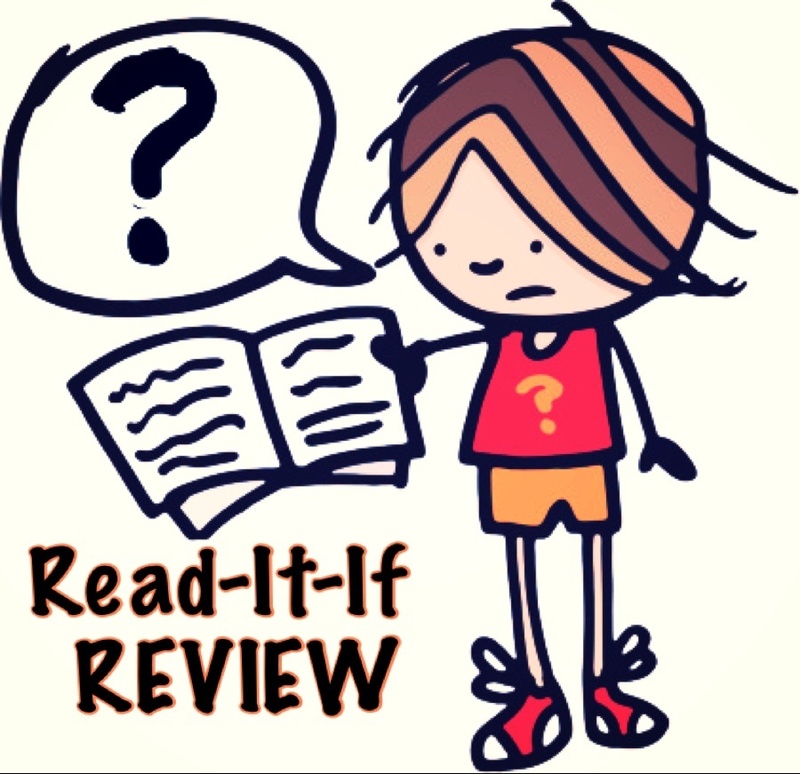 Welcome to the Read-It-If Review from Hell! But not in the way you think. Today I have an enticing giveaway, and an equally enticing review of a remarkably enticing sequel. 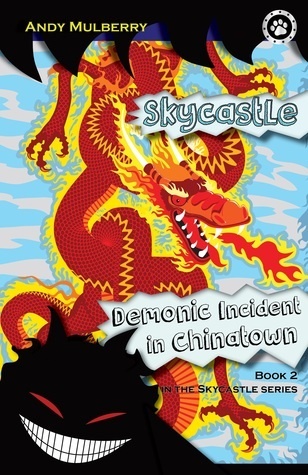 I speak of course, of the second book by Andy Mulberry; the MG comic fantasy adventure The Demonic Incident in Chinatown. 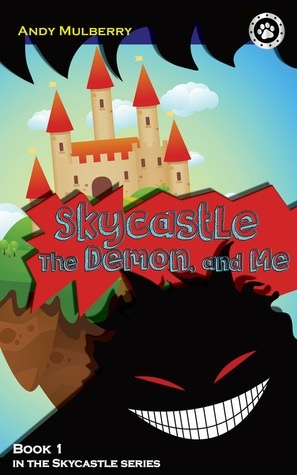 This book is a follow on from the rib-tickling oddity that is Skycastle, The Demon and Me, in which young Jack finds a newspaper ad under the fridge and accidentally orders his very own demon. You can read my review of that adventure here. But in this second adventure, the mayhem ramps up as Jack and Brink jump into a frenzied hunt for gold. When we left Jack and Brink, they were trapped inside Skycastle as the building flew through the air. Safe, for the moment, from the Collector, boy and demon begin a frantic hunt for gold to buy Brink’s freedom. The search leads them deep into trouble – dragon-based trouble – and if that weren’t bad enough, Chinatown is about to become a lot more of a tourist attraction thanks to Jack and Brink. Can our two heroes get the gold for Brink’s life and liberty or will all their good intentions lead them down the path to hell – and the Collector? The Demonic Incident in Chinatown begins exactly where the initial book leaves off and since it’s been a little while since I read the first book in the series, it took me a few moments to reorient myself to what was going on in the story. I was soon back into the action again however, and was quite happy to be accompanying the lads on their adventure. The tone of this book is a little different to the first – the witty banter is still there, but Brink and Jack seem to be more comfortable in their friendship this time around and are more focused on evading capture and finding a quick bit of gold, than spending time chatting. The plot moves quickly through the action scenes and then hits a peak right at the end, when some dragon-and-headless-ghost craziness kicks off in rather public view. This series is shaping up to be super-appealing to young readers, with humour, wild action and fun fantasy elements – who wouldn’t want a castle that can zip you out of imminent danger and plop you down somewhere cool?! And in case you are one of those happy people that will just rush out and buy the book, don’t forget it’s also available in e-form, and in AUDIO book, for your listening pleasure!